I have coffee every morning. I take my first cup very seriously. 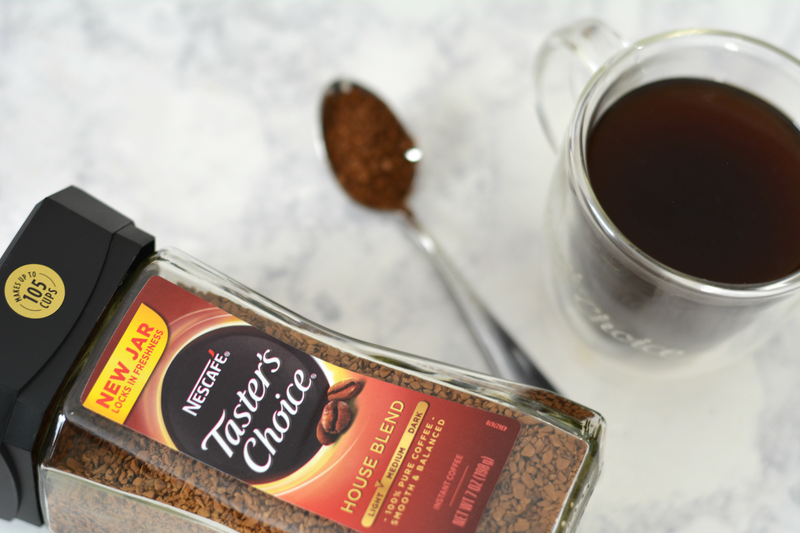 NESCAFÉ® asked me to try Taster’s Choice® instant coffee and my initial reaction was nope. Coffee is ritual to me. After my workout, I eat breakfast. Then I grind whole beans and make coffee in a french press. I wait a timed four minutes for coffee to steep. Finally, I enjoy. I was not interested in changing it up at all. It's quite the leisurely experience which I don't always have time for though. Some days I'm running around low on caffeine and anxiously waiting until I can get my coffee time in for the entire day. It's THAT day that had me give Taster’s Choice® a second look. So this past week, I committed to the Coffee Challenge and only drank NESCAFÉ® Taster’s Choice® instant coffee. It wasn't at all like I thought it would be. I imagined instant coffee to be watery and lacking in caffeine. I was pleasantly surprised to discover I was wrong. Super convenient - heat up water, pour coffee, stir and enjoy. Portable - pre-measured single serve packets means I can take them with and if I happen to end up at a tea drinkers house, I'm prepared. Tastes great - I tried Taster’s Choice® House Blend. It's full bodied with smoky undertones. The intense, rich flavors come from responsibly sourced beans that are roasted, brewed, and flash frozen to lock in freshness. No coffee aroma - It's not a deal breaker but I couldn't really smell the coffee before tasting. The smell of coffee is a part of the experience for me. Simplifies the ritual - If you're a traditionalist and enjoy the ritual, this may be a little to fast and easy for your taste. I'm half and half (ha!). I like it slow and easy but for time crunch just getting a great cup of coffee in my hand is all I really need. In my quest for the full coffee experience, I got a little fancy for the post-first-grade-homework second cup. 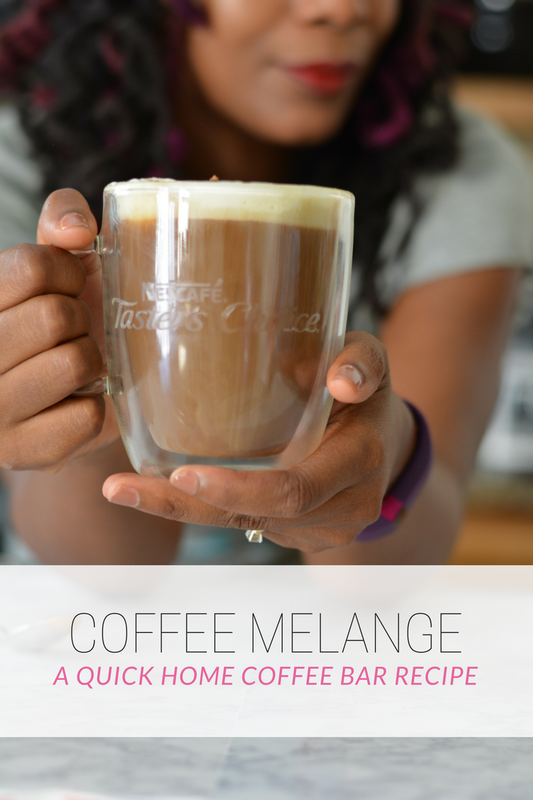 I made Coffee Melange. Make coffee. Stir whipping cream and extract together with hand held mixer until fluffy and stiff. Spoon on top of coffee. Sprinkle cocoa powder. Done! It's simple, decadent and smells amazing. 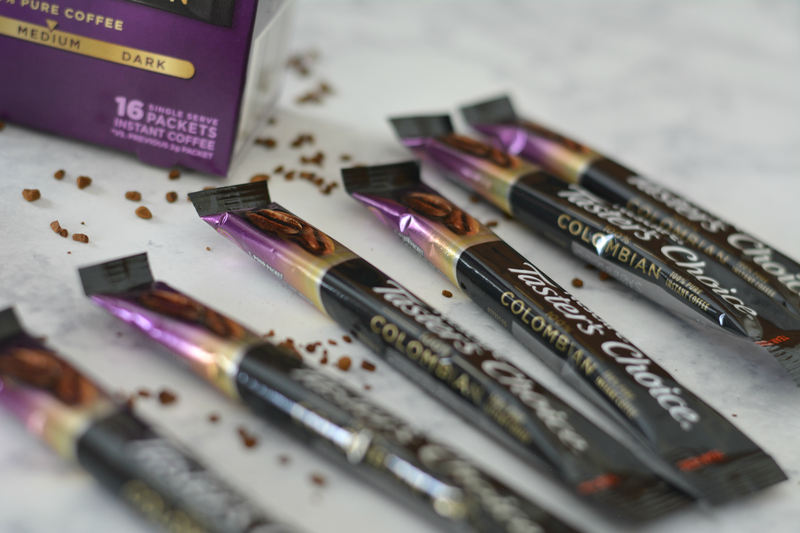 Want to take the coffee challenge for yourself and give NESCAFÉ® Taster’s Choice® try? 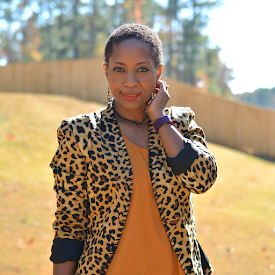 I'm giving away a (1) $30 Paypal cash or Amazon e-gift card to a lucky coffee loving reader. Complete the Rafflecoptor form below. Ends October 1. Good luck! Do you drink instant coffee? 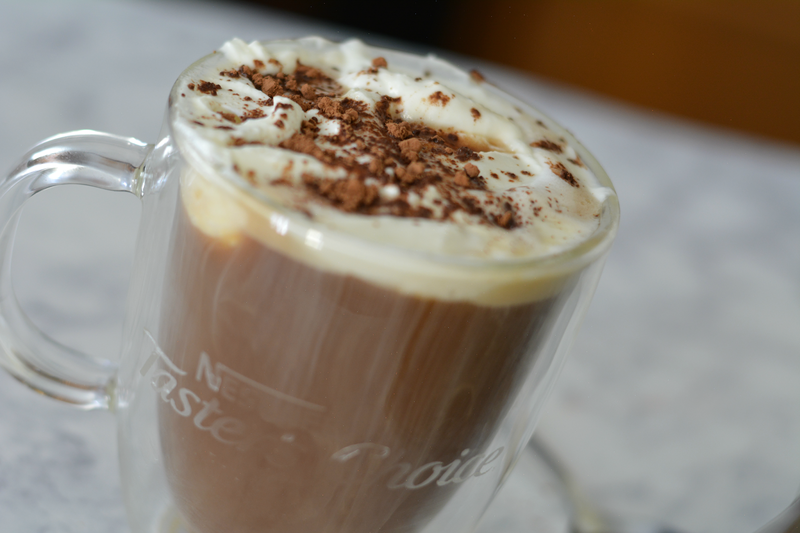 Which NESCAFÉ® Taster’s Choice® is your favorite?